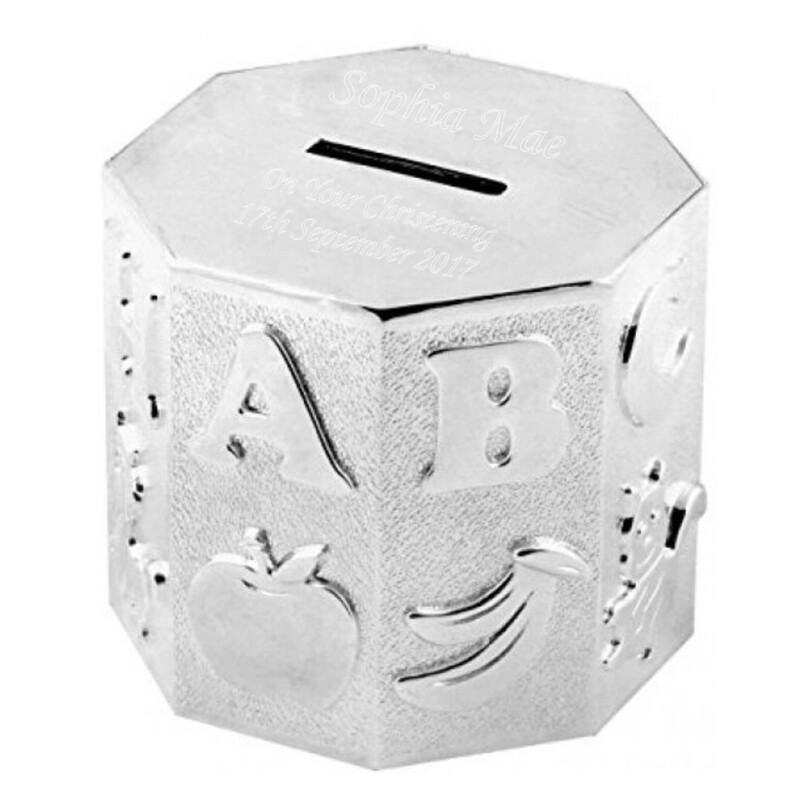 Personalised Engraved ABC Octagon Money Box. This beautiful silver plated money box measures 7 cm x 8 cm x 8 cm and is engraved on the top of the money box either side of the coin slot as shown. Each side of the octagon has a different letter, starting at A and ending at H.
Makes a perfect Christening Gift and also great for a 1st Birthday or New Arrival present. Why not purchase it as a momento for a Baby's 1st Christmas!